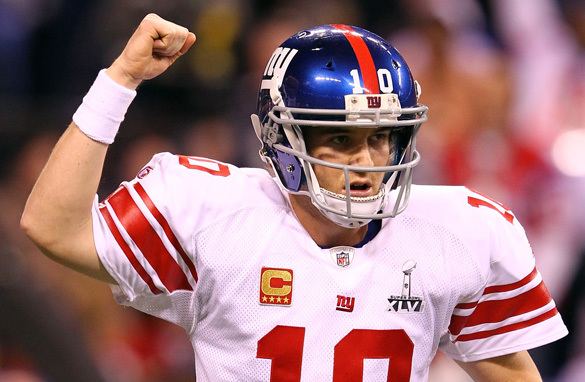 What was the biggest sports story of 2013? From the heights of achievement to the despair of fallen idols, it has been a game of two halves for sport in 2013. 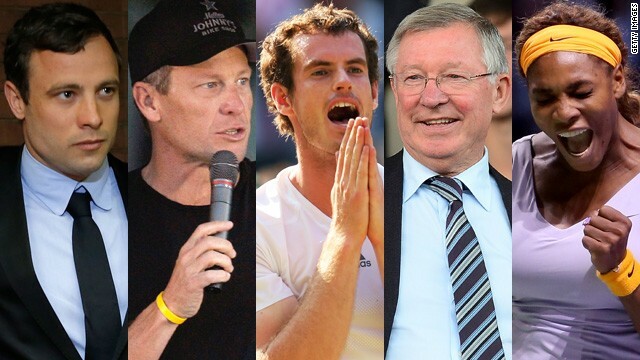 Rafael Nadal, Andy Murray and Serena Williams led the way on the tennis court, but sports fans saw heroes such as Lance Armstrong and Oscar Pistorius taint their considerable legacies beyond redemption. Then there was a farewell to one of the giants of football, Alex Ferguson, who left behind a wealth of memories not just for supporters of his club Manchester United but for the beautiful game as a whole - which has suffered through controversies over corruption and future World Cups. All the best to my friend @pedrocnn as he pens his next career chapter! One of the best in the biz! See ya down the road mi amigo! 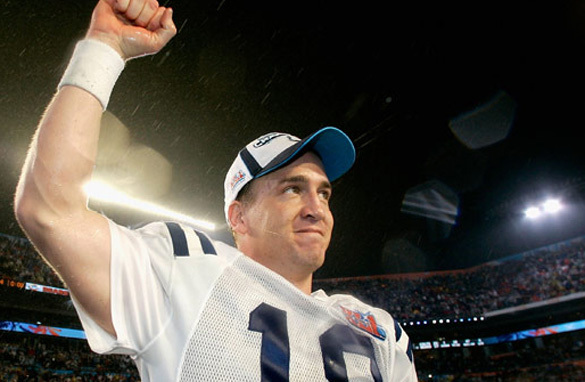 What next for Peyton Manning after Colts departure? "I don't want to retire." Those are the words of one of the greatest free agents that the National Football League has ever seen. Emotions flowed on Wednesday in Indianapolis, Indiana as the Colts and quarterback Peyton Manning officially parted ways. Yes, the Colts released their best player. One of the biggest sporting spectacles on the planet has descended on one of the smallest U.S. cities to ever host such a grandiose event. 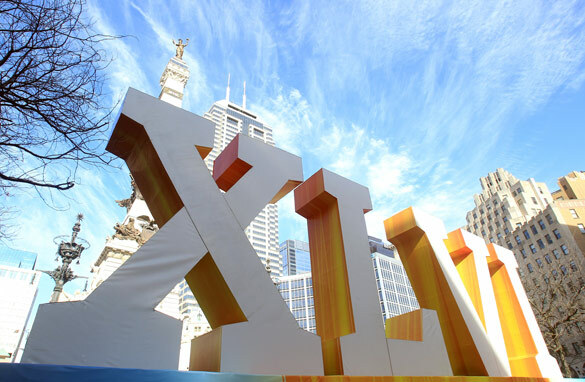 Indianapolis is known as the "Crossroads of America" and, with a moniker like that, it only makes sense that the 12th largest city in the U.S. would get in on the action. Super Bowl Sunday is a very American tradition that's caught the attention of many sports fans around the world. But until now, they have probably only known about this town of just over 800,000 people thanks to the Indianapolis 500 motor race. Now, Indy truly shifts into high gear! If you watched Sunday’s closing ceremony of the just concluded Olympic Winter Games, you saw a mix of humor and humility. Canadians, known for poking fun at themselves, did plenty of it during the two-hour show from BC Place in downtown Vancouver. From actor and commercial pitchman William Shatner rising from the center of the stage to proclaim, in his own special way, that he’s proud to be Canadian to the huge floating moose that circled the arena from high above, the closing ceremony had it all. Amid all the joyous mayhem that ensued in the wake of the terrific 17-day sporting festival, there was one Olympian taking part in the Vancouver Games finale who could be excused if her mind was elsewhere. Chilean alpine skier Noelle Barahona almost missed the ceremony. If it wasn’t for the fact that she couldn’t get a flight back to her homeland earlier in the weekend, Barahona would have already been back on South American soil. While Barahona and the small Chilean delegation prepared to close out the final weekend of the games, a deadly earthquake shook their homeland to its very core. The news spread north and the rush to the airport was on. When Barahona learned that family members, many of whom accompanied the skier to Vancouver, and friends in her native Santiago were fine, Noelle decided to take part in the closing extravaganza. Barahona was the only Chilean athlete to walk into BC Place with her fellow Olympians. Chile’s two other athletes, both alpine skiers, had already left Vancouver as they had previously planned. The night gave Barahona a chance to catch-up with and say goodbye to the many friends that she made during her stay in the athletes village. 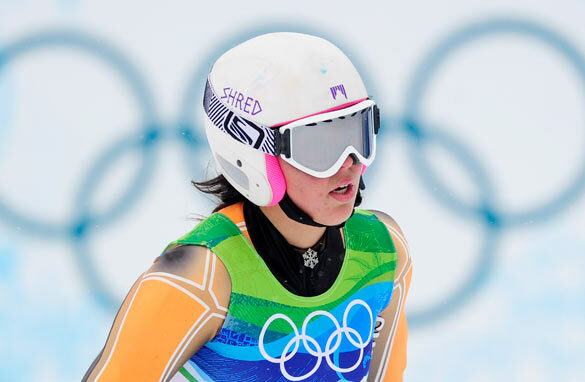 It allowed the skier to reflect on her Olympic experience. It also, for a few short hours, gave the Chilean a chance to enjoy her remaining hours in Canada before making the trip south and into the unknown. Life for Noelle Barahona was surreal, on many levels, here at the Vancouver Winter Olympics. Returning to life in an earthquake ravaged country will likely be the same. If you ever consider purchasing tickets to an Olympic Winter Games sport, might I suggest short-track speedskating? In a word, WOW! South Korean Jung-Su Lee crosses the finish-line ahead of Canada's Charles Hamelin and American speedskating legend Apolo Anto Ohno. Venue: the Pacific Coliseum, event: the 1500 metres men's short-track final. Having never before taken-in this sport in person, I didn't really know what to expect. I did know from the television pictures that I've seen through the years that short-track seemed to be the real deal. Many times the race isn't over 'till it's over and sometimes even then it's not finished. This is precisely how it went for Apolo Anton Ohno on this night. Ohno was, without a doubt, the most popular skater in the house. Even the Canadian crowd, who would have loved to see one of their own claim the gold, was behind the 27-year-old in his pursuit of U.S. Olympic history. When Ohno was introduced, the fans roared and rang cowbells to increase the decibel level in an already noisy arena. Once the race began, off a starter's gun, it was a little difficult to focus from the upper level of the stands. So much was going on as the skaters went 'round and 'round the ice. Ohno fell back in the pack at one point and then made his move toward the front as the laps wound down. Your eyes would, at one moment, be fixed on the white ice and then you'd look up at the scoreboard to keep up with positioning. Talk about multi-tasking! As the race neared the finish line, it looked as if South Korea would sweep the podium. Ohno must have been thinking "oh no". Then, in a blink of an eye, one Korean took out another Korean with an ill-advised pass on the final turn. 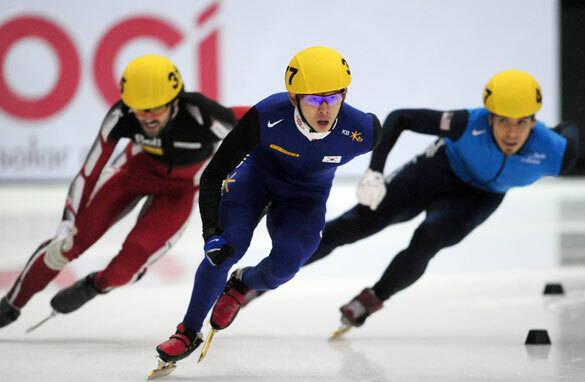 As the teammates crashed into the protective barrier, Ohno and his U.S. teammate J.R. Celski skated to the line to claim the silver and the bronze respectively behind Jung-Su Lee from South Korea who won the gold medal. While Ohno waited for the results to become official, he raised six fingers into the air, representing the six Olympic medals he's claimed over the course of his career. What played out next will live in my Olympic memories. Ohno retrieved a United States flag and draped it across his shoulders. With a big smile on his face, the speedskating star seemingly let out a big sigh once the finishing order was set in stone. As he circled the ice, with his country's flag in tow, Apolo Anto Ohno did so as the most decorated male Winter Olympian in U.S. history. There’s a dubious distinction hanging over the head of the host nation of next month’s Winter Games. It has to do with the lack of gold medals hanging around the collective necks of former Olympians. Did you know that Canada is the only country to host the Olympics twice and fail to win a single gold medal? Canadian fans expect gold at this year's Winter Games, will the national program prove fruitful? The national embarrassment caused by coming away from both the Montreal Summer Games in 1976 and the Calgary Winter Games in 1988, without an Olympic title and only 16 combined medals, has made “striking gold” in Vancouver “priority one” for the Canadian Olympic team. To that end, the “Own the Podium” initiative was born. In the years leading up to the February 12th opening ceremony, Canadian athletes have gone through rigorous training in hopes of doing just that, owning the podiums at the 2010 Games. The program collected over $110-million in public and private money aimed at getting homegrown Olympians gold medal ready. The United States, Canada’s friendly but fiercely competitive neighbor, took up a similar approach ahead of the Salt Lake City Olympics but with less funding. It resulted in 10 gold medals and 34 overall as the host nation of the 2002 Winter Games trailed only Germany. Four years ago, Canadian athletes came home from Italy with 24 medals, including 7 gold. 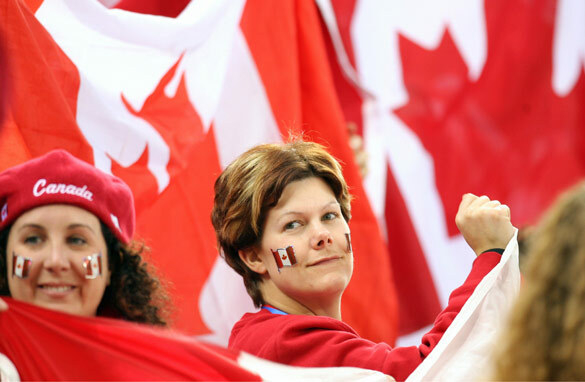 So, if one is to believe in the power of momentum, then the signs are looking up for Canada ahead of “their” Games. The stated goal is a record 35 medals with strong prospects coming from the team sports of men’s and women’s hockey and curling. 19-year-old Patrick Chan, a silver medalist at the World Figure Skating Championships and son of Chinese immigrants, is eyeing gold. So is reigning Olympic mogul skiing champion Jennifer Heil who could get things off to a hot start for Canada by defending her gold medal on the very first day of competition. But, with big dreams come big pressure and many feel it falls squarely on the shoulders of Canada’s star-studded men’s hockey team which failed to win a medal in Torino. A similar fate in Vancouver would be crushing to a nation that holds the sport in such high regard. For a country that fancies itself as a “leader” in winter sports, the Olympics coming back to Canadian soil gives the hosts another chance to show off their considerable talents. Only this time expect these games, at the very least, to be ‘trimmed in gold’ for Canada. The New York Yankees are one of those teams that fans love to hate. You either love the Yankees or you hate them, rarely is there middle ground. Winning the 27th World Series title in franchise history has given the “lovers” of this storied Major League Baseball club reason to smile and the “haters” even more ammunition! Hideki Matsui led the Yankees to a World Series victory which was closely followed in his native Japan. But there’s something that the Yankees have done that can be lauded by even the so-called “haters”: they’ve helped make the very American sport of baseball become even more of a global game. Nine of the World Series-winning players on the New York roster were born outside of the United States. The list is fronted by Hideki Matsui, the first Japan-born player to win the World Series' Most Valuable Player award. Millions of baseball fans in Japan watched Matsui’s heroics. They tuned in at home, in offices, in bars and restaurants, and many even filled downtown Tokyo electronics stores to check out the World Series clinching game. The word “proud” was used time and time again when Japanese baseball fans spoke of the historic performance of their native son. Asia has always been a hot bed of baseball talent, with Japan feeding the Major Leagues with a number of mouth-watering prospects. Taiwan is now considered an up and coming, talent-rich nation in the region. Of course, Latin America’s contributions to the Major League landscape can not be overstated and now Europe may even be getting in on the mix! This past summer, one Major League team even signed a prospect who calls Germany home. Sure, football will always be king in many parts of the globe, but it’s good to see a sport that I grew up with making major inroads outside of North America. Forbes magazine has listed the New York Yankees as the fifth most valuable sports franchise in the world. Don’t be surprised if you see Yankees hats and shirts in places where baseball is still a curiosity. After all, who doesn’t want to count themselves as being associated with a winner? Okay, I’m sure the world’s Yankees Haters will take a pass!